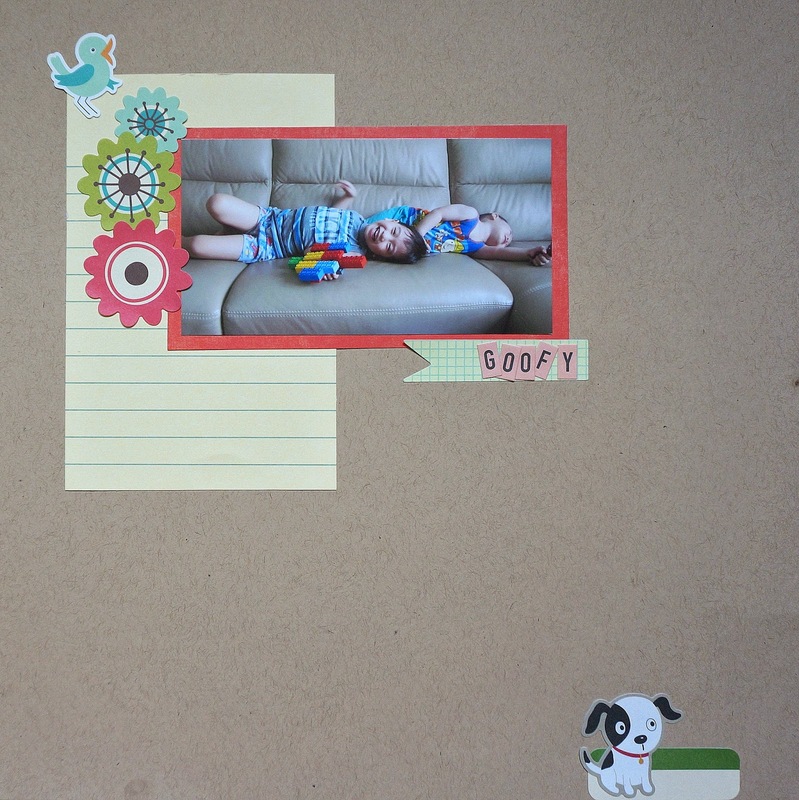 Here's my November layout with Stick It Down, it's a quick clean and simple layout. I have some really old October Afternoon stickers, so I decided to use them for this layout with a photo of the boys goofing around. Do check out the site for other inspirations by the talented bunch at Stick It Down! Have fun!